It’s that time of year! Our Presale event will take place next week: Friday, October 5, 2019, at 9:00 a.m. CST. At this time, 3-Day General Admission tickets, General & Electric campsites will be on sale to the general public. Purchase your tickets and campsites here. 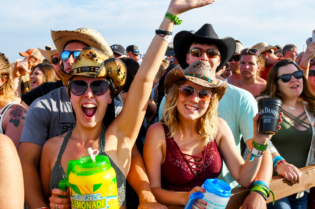 A limited amount of $99 3-Day GA tickets will go on sale on Friday, Oct. 5, 2018 at 9:00 a.m. CST. 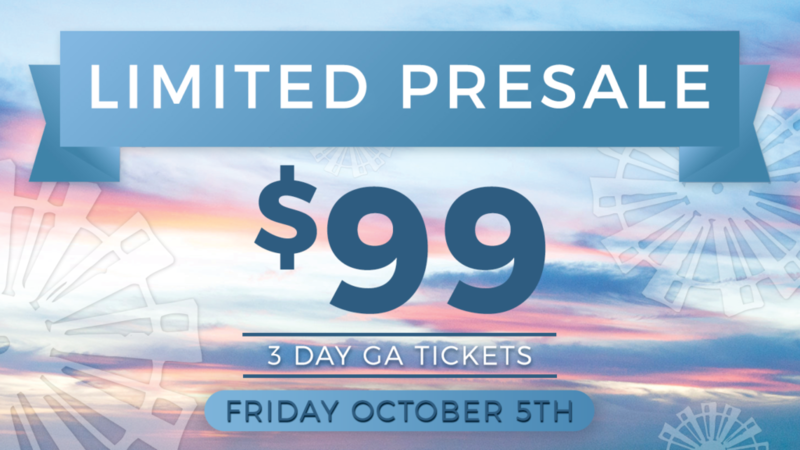 Once this limited quantity is sold out, 3-Day GA tickets will be available for $119. 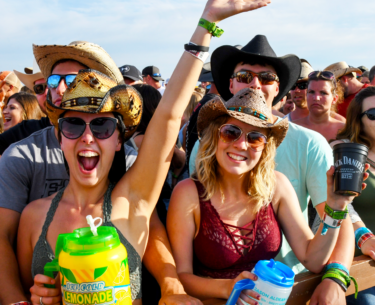 There will be a limited amount of $99 3-Day General Admission tickets available for purchase online at the Country Fest website. 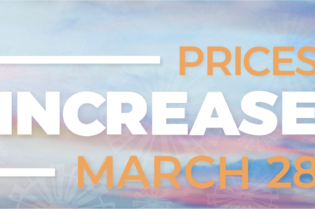 After the ticket limit has been reached, 3-Day GAs will automatically increase to $119. It’s time to get your group together! On Friday, Oct. 5, 2018, all available General Campsites will go on sale for $95, Electric Campsites for $325. Each campsite includes one campground access pass and one car parking sticker. 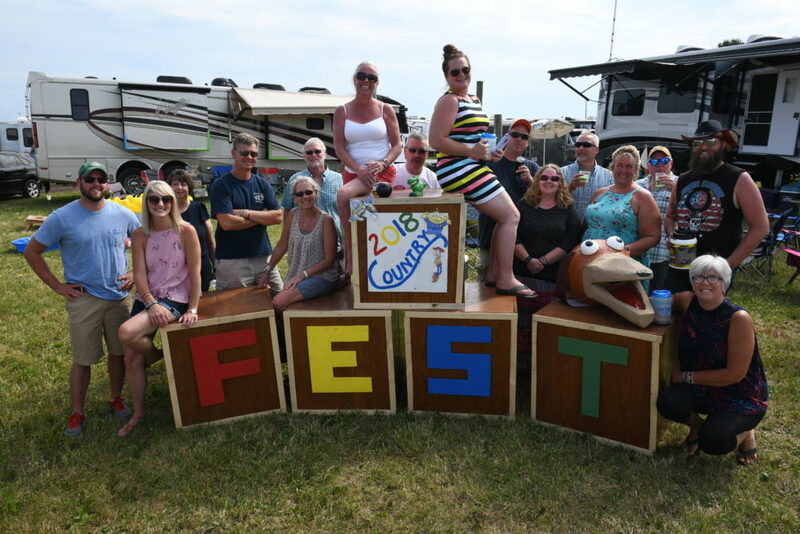 Get your group together & chat about what you all need for Country Fest 2019! 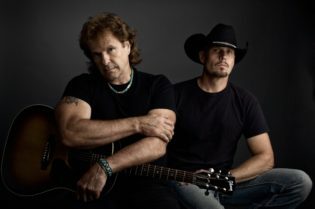 All campsites will go on sale Friday, Oct. 5, 2019 at 9:00 a.m. CST. No one likes finding the helpful information after the purchase is made. 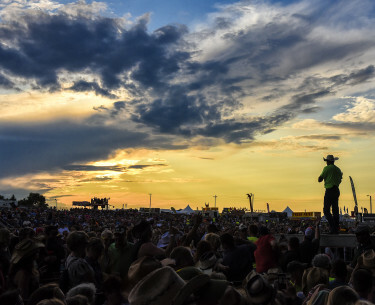 Here’s the most important things you need to know before placing your Country Fest order. You’ll get nine minutes to place your order, including filling out your payment information. Be sure to have your credit card near you before you go online. If you reside in Canada, confirm Canadian Shipping is selected before you add the selected items into your cart. Shipping is charged to each order, regardless of the size. Orders cannot be combined after being placed. 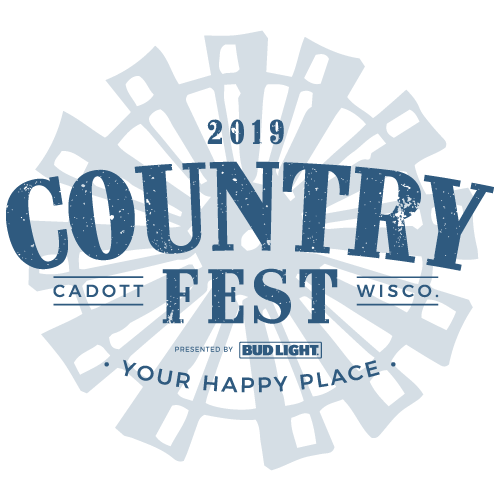 Be sure to order all additional Campground Access Passes necessary so your entire order is complete. Remember, (1) campsite comes with (1) campground access pass and (1) car parking sticker. Payment Plans will be available as of 10/5/18–add each ticket type to the payment plan prior to adding to the cart. For a complete step-by-step purchasing guide, visit the How To Purchase page on our website. 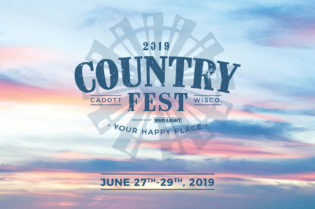 See country music superstar Luke Bryan headline Country Fest 2019! 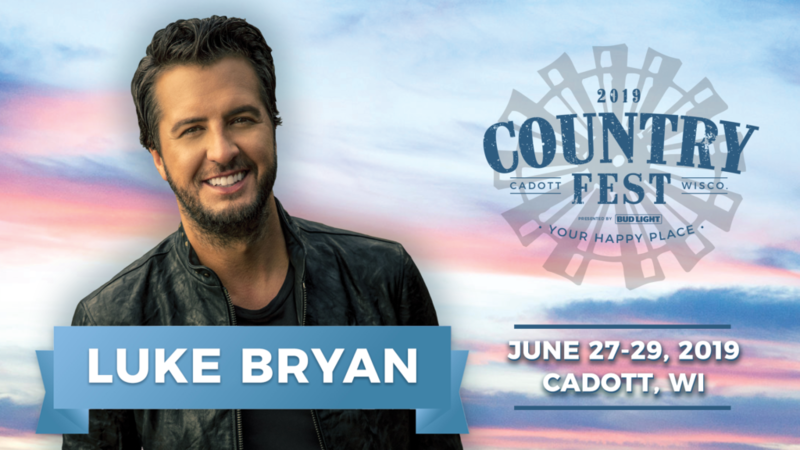 We are beyond thrilled to have country music superstar Luke Bryan headline Country Fest 2019! 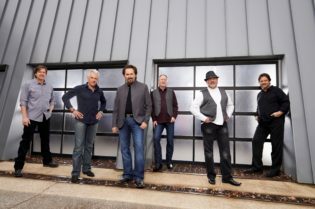 Luke joins Little Big Town in Cadott next June. Find out more Luke Bryan information here! 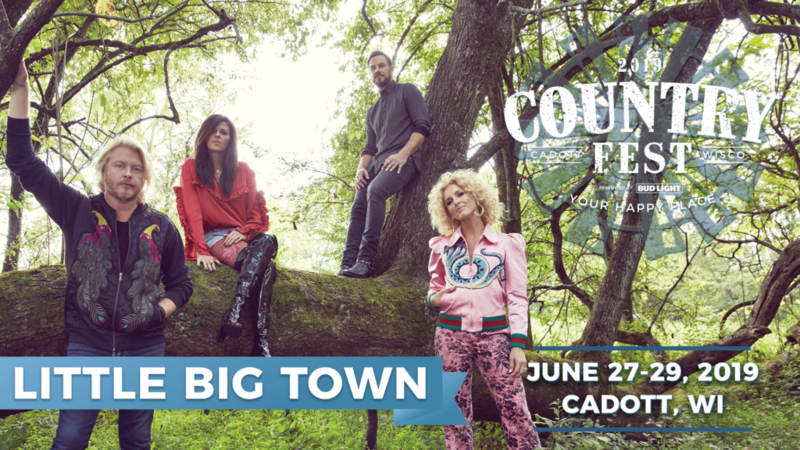 We are excited for LITTLE BIG TOWN to be joining us at Country Fest 2019! 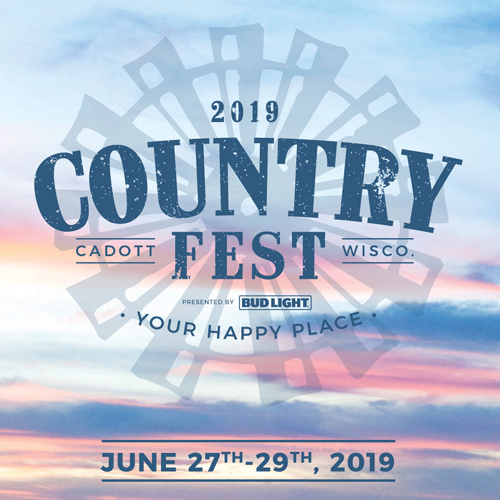 We are so excited for Country Fest 2019!